Foreign portfolio investors have pulled out billions of naira out of the Nigerian stock market in recent months amid bearish sentiments, primarily due to the approaching elections. 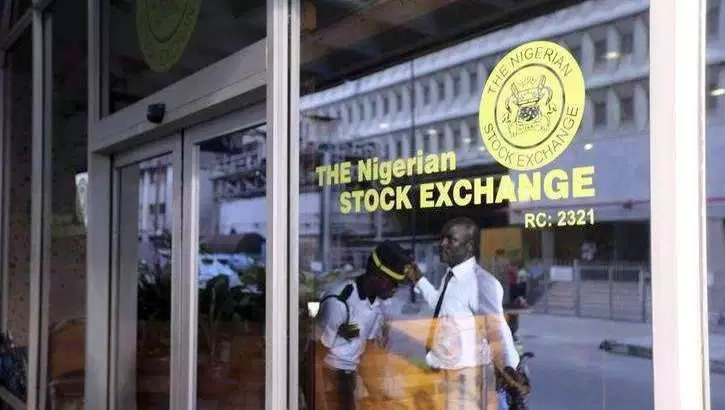 According to the latest data from the Nigerian Stock Exchange, a total of N435.41bn was withdrawn from the market from January to July this year, compared to an outflow of N236.32bn in the same period in 2017. The total value of equities listed on the NSE has taken a beating, closing at N11.88tn on Friday, as against a peak of N16.154tn on January 19. The market capitalisation rose from N13.617tn at the start of the year as a result of greater impetus from the recovery in global oil prices, increased domestic reserves, greater foreign exchange market stability and declining inflation. “Once there is any cause to fear, portfolio investors sell out their shares and they come back when the environment is better; all of these create a lot of volatility in the market and may be one of the reasons why we do not have a lot of initial public offerings in the country,” the Associate Director, Capital Markets, PwC Nigeria, Alice Tomdio, told our correspondent. She said more focus ought to be placed on encouraging the participation of domestic investors in the capital market. According to her, the current ratio of foreign investors to domestic investors is still quite healthy as foreign portfolio investors participate primarily in the secondary markets. She stated that it was normal for earnings release or government action to cause a big swing in the activity of foreign investors. With a significant decrease of 64.68 per cent in total foreign transactions from N102.41bn in June to N36.17bn in July, domestic investors outperformed foreign investors by 50.48 per cent in July. The domestic transactions, according to the NSE, were largely driven by the 55.48 per cent increase in the retail domestic participation, which recorded N29.12bn in June and N65.42bn in July. Between 2011 and 2015, foreign transactions consistently outperformed domestic transactions; however, domestic transactions marginally outperformed foreign transactions in 2016 and 2017, accounting for 52 per cent of the total transaction value last year. Also, foreign transactions, which stood at N1.539tn in 2014, declined to N1.025tn in 2015 and N518bn in 2016, but increased significantly by 133 per cent to N1.208tn in 2017. This accounted for about 48 per cent of total transactions last year. Over an 11-year period, domestic transactions decreased by 62.46 per cent from N3.556tn in 2007 to N1.335tn in 2017, meaning more foreign investors were dominating the market. However, there was a significant increase in domestic transactions in 2017 by 111 per cent from N634bn recorded in 2016 as portfolio investors withdrew. The President, Independent Shareholders Association of Nigeria, Sir Sunny Nwosu, said the economic policies of the country were responsible for the exit of foreign investors. He noted that if the policies were favourable, investors would come around and if otherwise, they would flee. Nwosu stated, “It is not even advisable for them to stay at this point because there is no assurance we can give them as elections are approaching; they need to be very careful about their money. These investors have been in this country since and have enjoyed a lot; they are not willing to gamble with their money now. The Partner, Corporate Finance Practice, PwC Nigeria, Andrei Ugarov, stated that more emphasis ought to be placed on Foreign Direct Investment instead of Foreign Portfolio Investment, describing the former as more beneficial to the country. He said, “When things are not so good and are shaky, portfolio investors leave immediately; it is very easy for them to sell off their shares and move out; whereas, if you have invested in a private company or industry, it is more difficult for you to leave because you have a longer-term view. According to him, currency control is also a major issue for portfolio investors because when uncertainty about getting their cash out exists, there will be uncertainty about putting cash in. Ugarov stated that currency control and uncertainties could be the reason why there was a scarcity of portfolio investors as well as a lack of adequate foreign exchange. The Managing Director, Cowry Asset Management Limited, Johnson Chuwku, said the only thing the government could do to reduce the exit of foreign portfolio investors was to reduce political tension in the country. According to him, the government needs to give assurance that the coming elections will be free and fair, and that the two major political parties will not create war. He noted that if the confidence of the public was not restored, there would be a problem. Chukwu said, “The major thing driving portfolio investors is not necessarily that the economy is weak; the economy is still quite strong. According to him, the only thing that can restore the confidence of the investors or give them the assurance to stay is if the tension is being moderated by ensuring that the outcome of the elections will be acceptable by the citizens. He said another thing that could moderate the exit of portfolio investors was the increase in yield of Federal Government’s short-term instruments. “If the yield spikes, it can attract those that have very high appetite for risk to come back into the country,” Chukwu added. He stated that increase in yields could only be used to complement a moderated political environment, adding that a reduction in political tension remained key as increased yields could not sustain investors’ confidence on its own.